Is There a Connection Between Gluten and PCOS? Around 2.4 percent of adults in the United States buy or consume foods labeled gluten-free, even though only about 16 percent of that number have celiac disease, according to a ​Mayo Clinic study. The number of people without celiac disease who avoid gluten has been steadily increasing since 2009, though the number of people diagnosed with celiac disease has not increased. This elevated interest in a gluten-free diet could be due to the fact that some people have the perception that eating gluten-free foods can result in weight loss or more energy, as well as because of those with gluten sensitivity. Visit any polycystic ovary syndrome (PCOS) chat on social media and you're sure to come across recommendations from other women with the syndrome plugging a gluten-free diet. Here we'll investigate the evidence and what you need to know if you want to go gluten-free. Gluten is a protein in wheat, rye, and barley. Lesser known sources of gluten may be present in sandwich meats, imitation seafood and bacon, marinades, sauces, oats (unless labeled gluten-free), and beer. Following a gluten-free diet requires careful reading of food labels and discussions with the wait staff in restaurants to avoid gluten-containing foods. Celiac disease is an autoimmune intestinal disorder that affects 1 percent of the general U.S. population. If left untreated, celiac disease can lead to intestinal damage, nutrient deficiencies, joint pain, chronic fatigue, irregular periods, and infertility. Non-celiac gluten sensitivity is more common than celiac disease, likely affecting six times the amount of Americans who have celiac disease. Symptoms of gluten sensitivity vary and may include chronic fatigue, joint pain, gas, bloating, diarrhea, and brain fog. Individuals with gluten intolerance don’t suffer from intestinal damage, so they don’t have nutritional deficiencies. The number of women with PCOS who are gluten sensitive is unknown. To date, there’s no evidence-based research to show a connection between PCOS and gluten. PCOS is a state of inflammation associated with insulin resistance. It has been suggested that daily consumption of wheat products and other related cereal grains may contribute to chronic inflammation and autoimmune diseases. Women with PCOS have higher markers of inflammation than women without the syndrome. Reducing gluten consumption or avoiding it could potentially lessen inflammation in PCOS, but more research is needed before recommending gluten-free diets to all women with the disease. Additionally, gluten alone may not be causing the common symptoms experienced by those with gluten intolerance. FODMAPs, a group of poorly digested carbohydrates, can also cause symptoms. Many foods that are high in FODMAPs also contain gluten. If it's not followed correctly, a gluten-free diet can result in iron, folate, niacin, zinc, and fiber deficiencies. Many gluten-free foods have added sugars, saturated fat, and sodium to maintain flavor, making them a poor choice for most people—especially for those with PCOS. If eating gluten-free helps you to lose weight, it’s not likely due to cutting out gluten. It’s probably because you’ve cut back on extra calories and carbohydrates by avoiding many breads, pastas, baked goods, and other foods that contain gluten. Since there isn’t a test to determine if you have gluten intolerance or not, the only way to know is to eliminate gluten. If you feel significantly better following a gluten-free diet and notice a difference when you reintroduce gluten, you may have a gluten sensitivity or celiac disease. Getting tested for celiac disease is always recommended before you start a gluten-free diet. Choose whole foods that don’t contain gluten and that are packed with nutrients and fiber, such as fruits, vegetables, rice, amaranth, buckwheat, millet, and quinoa. 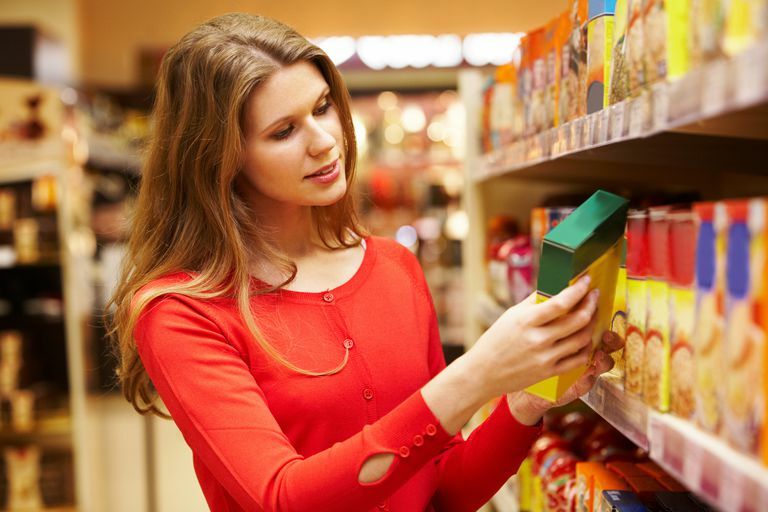 At home, mark gluten-free foods with bright labels or keep them on a separate shelf. Separate utensils, cutting boards, and toasters to avoid cross-contamination. Use condiments in squeeze bottles to keep knives and crumbs out. Beyond Celiac. Non-Celiac Gluten Sensitivity. Choung RS, Unalp-Arida A, Ruhl CE, Brantner TL, Everhart JE, Murray JA. Less Hidden Celiac Disease But Increased Gluten Avoidance Without a Diagnosis in the United States. Mayo Clinic Proceedings. January 2017;92(1):30-38. doi:10.1016/j.mayocp.2016.10.012. El-Mesallamy HO, Abd El-Razek RS, El-Refaie TA. Circulating High-Sensitivity C-Reactive Protein and Soluble cd40 Ligand Are Inter-Related in a Cohort of Women With Polycystic Ovary Syndrome. European Journal of Obstetrics & Gynecology and Reproductive Biology. June 2013;168(2):178-82. doi:10.1016/j.ejogrb.2013.01.015.